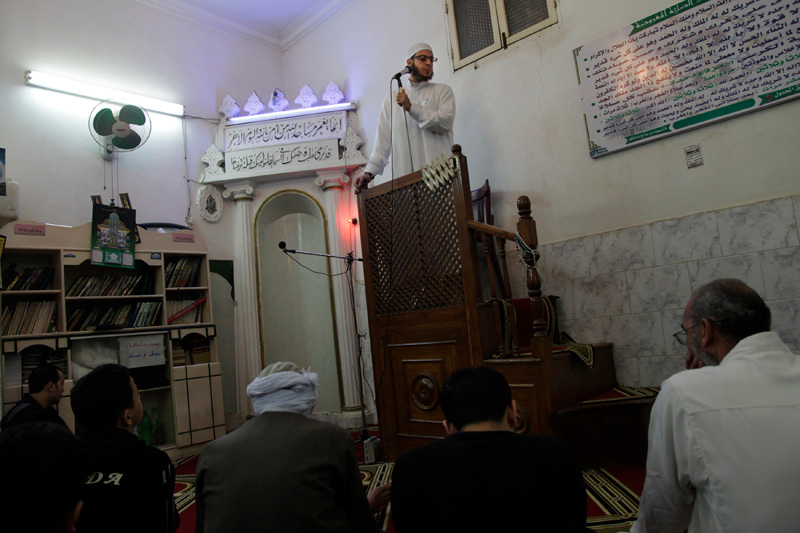 Salafist Imam Mustafa Ibrahim, 24, leads a sermon in his local mosque during Friday prayers in Cairo, Egypt Dec. 12, 2011. Mustafa is a young community leader and member of the Islamist Nour party. He believes that youth need to play a more active role in politics.